what does fashion have to do with co2? Well, it's largely due to processing. Our favourite materials like cotton and leather that's grown in industrial farming operations create a crazy energy footprint. Not to mention, petroleum-based materials like nylon and polyester that emit damaging volatile organic compounds and nitrous oxide, a greenhouse gas almost 300 times more potent than CO2. Fashion can be really breathtaking! When you throw your clothes in the recycling bin, they are most likely going anywhere BUT a recycling plant. The type of recycling technology needed is not yet available for most fibers. Most of our clothing is mixed (cotton and polyester blend etc.) and we have yet to discover an efficient way of recuperate those materials through recycling! But on the bright side, the Hong Kong Research Institute of Textiles and Apparel is doing some groundbreaking research in finding ways to recycling textile properly. Check it out here. Important to keep in mind that recycling is kinda just a good excuse to keep on buying stuff. So closing the loop will take the collaboration of people along the entire supply chain to profoundly challenge the way fashion companies currently operate. clothing and water... what's the link? Making clothing is incredibly water intensive. Cotton takes a crazy amount of water to grow (so much that you need 2700L to produce one shirt). But that's not all. The processing of clothing like dying and treating requires our beloved H2O. Not only do these factories often dispose of the toxic water into the neighbouring rivers waterways, eventually the fashion industry may face the dilemma of choosing between producing more clothes and securing clean drinking water. Obviously, this is still a good way to avoid landfill. But your t-shirt probably won't stay close by, 70% of the clothes donated globally actually end up in Africa (when your local charity shop can't sell it, or it's rejected for being too used). Because of the overwhelming amount of secondhand clothing that winds up there, it's destroying the local clothing economy! Local businesses just can't compete with the overflowing amounts of rejected barrels of clothing shipped from overseas. 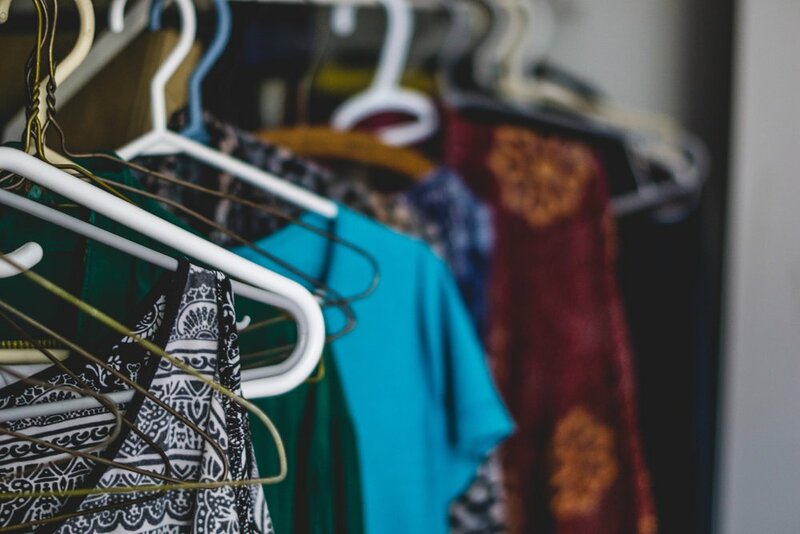 Bottom line, it's still a good thing to bring our clothing rejects to the charity shops, but we need to slow down how much clothing we're buying and using the first place. Clothing doesn't grow on trees. Or does it? To cater to our shopping habits, the industry cuts down seventy million trees to produce fibres. This figure is expected to double in the coming 20 years. Fast fashion is like fast food, quick and readily available. That means that brands need to predict as best they can what it is you'll buy, and stock that on their shelves. But what happens to the clothes that aren't sold? Brands are feeling the burn of unsold inventory, without much of a plan of what to do with it all. It's a tough spot to be in, costing the brand lots of money, and costing the planet so many resources that end up lost. Some fast fashion brands rely partly on burning defective products they can't sell to create energy.